Disc golf, informally known as Frisbee golf is a sport that has been in existence since the 1900s (Source). It is popular enough that it is played in over forty countries. Whether you play disc golf for fun at the beach or are looking turn professional; the most significant aspect of this game is finding the right disc. The right disc determines your throwing style, the flight path and eventually your success. Finding a disc is easy, the hardest thing is finding the best possible golf disc putter. For that reason, here is a guide that enumerates the best disc golf putters on the market today. 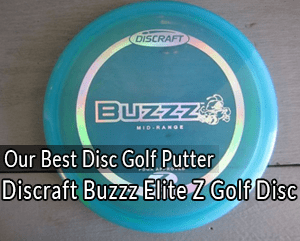 The Discraft Buzzz is the midrange disc of choice for Nate Doss—the three-time world champion. The disc is 21.7cm in diameter, 1.9cm in height, 1.3cm in rim depth, 1.2cm in rim width and it has a maximum weight of 180g. These dimensions, especially the rim width, facilitate a comfortable grip and ease of handling. They also make the disc perfect for midrange throws. On the other hand, the weight meets the PDGA tech standards which means you can throw it for a sanctioned tournament play. 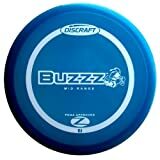 The Discraft Buzzz has a speed of 5.0, a glide of 4.0, a turn of -1.0 and a fade of 1.0. These characteristics ensure the disc is consistent, reliable and stable. That, in turn, guarantees accuracy. Therefore, when you throw the disc, it will perform in the exact way you need it to perform. It is thus one of the most popular midrange discs in the market today. The Buzzz fades slightly on level throws, but it holds the line with powerful throws. It is available in all Discraft’s plastics, and it is up to you to choose which plastic you are comfortable with. Note, however, that in Pro-D plastic, the disc has a stability rating of (0.). With all the other plastic blends, it is slightly overstable with a Discraft rating of 0.5. The Buzzz is suitable for all skill levels. Whether you are a beginner, a professional or just a hobbyist; the disc will suffice. It comes in a myriad of colors, and therefore a player can pick his/her color of choice. Durable thanks to the various high-quality plastics. The disc drives, it flicks, and it holds the line. Not the best for Drivers and Putters because of the increased weight. 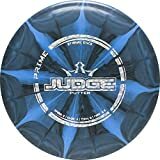 The Judge proved an instant success immediately after its launch by Dynamic Discs. It is made from Prime Burst plastic—a special plastic that features color bursts that spread throughout the disc. The Prime Burst plastic has an excellent grip and an incredible feel while still maintaining a certain level of stiffness. Note that this superb grip is maintained even in bad weather that may compromise your hold. The Judge is 21.2cm in diameter, 2.0cm in height, 1.5cm in rim depth, 1.1cm in rim width and it weighs between 173g to 175g. The dimensions guarantee it will perform incredibly well when used for putting or for approach shots. As a result, it is considered one of the best discs for putts and approach shots. The flying ratings are a speed of 2, a glide of 4, a turn of 0 and a fade of 1. That means it combines the ability for high speeds with zero fading. It then flies straight and does not compromise on accuracy. In essence, the disc is accurate in both flying and hitting chains. The judge is stable, and appropriate for all skill levels. Another plus in its corner is the fact that a respected brand—Dynamic Discs make the disc. They are the sponsors of PDGA 2-time world champion—Richard Wysocki. That means high-quality is guaranteed. The disc is perfect for both professionals and beginners. This product comes in varying colors and will satisfy any preference. The burst pattern is not as pronounced in some colors. Whenever a 4-time PDGA world champion endorses and uses a product, then it is certain that the product is top-notch. The Star Destroyer is the go-to driver for Paul McBeth. So much so; that the disc bears his name and signature. The Star Destroyer has a speed of 12.0, a glide of 5.0, a turn of -1.0 and a fade of 3.0. The speed of 12 makes the disc ideal for maximum distance, long hyzers, and headwind drives. Though the Star Destroyer is overstable, the degree of turn provides an incredible glide and distance. For non-professionals or intermediate players, the Star Destroyer is ideal for forehand throws. It gives more distance than any other disc with forehand throws. Thanks to its thinness (1.4cm in height), and its ideal rim size (2.2cm), the Destroyer is built for high speeds but without being uncomfortably thick. Due to its popularity, it is available in all major Innova plastics. The Star plastic, in particular, is highly durable, soft enough and it has an exceptional grip. The 165 to 169g Destroyer facilitates a balanced performance and gives the players more versatility. The 170 to 175g Destroyer is the heaviest available weight range, and it provides maximum control and wind resistance. Finally, it is essential to remember that the Destroyer is recommended for those with advanced or intermediate skills but not for beginners. It is a professional disc. The disc is of high quality. The star plastic wears gently becoming less stable over time. The disc is not ideal for beginners. Another Innova disc, but this time one that is perfect for fairway drives. It is essential to note that according to PDGA statistics, the Teebird has been used to win 19 world championships over the years. That makes it a very effective disc. Combined with the champion plastic—Innova’s most overstable plastic—the Teebird produces super consistent flight patterns. The Champion Teebird has a smooth, steady fade throughout its flight thanks to a speed of 7.0, a glide of 5.0, a turn of 0.0 and a fade of 2.0. It flies straight and is considered one of the classic discs that set the standard for driving consistency. Newer models tend to compare with Teebird to determine if they are at par. Regarding dimensions, the Champion Teebird is 21.1cm in diameter, 1.6cm in height, 1.2cm in rim depth, 1.8cm in rim width and it has a maximum weight of 180g. These dimensions facilitate pinpoint accuracy and precision making the disc the best choice for utility driver, accurate fairway drives, and flex shots. The incorporated DX material provides for durability, and it offers a wide range of weights. It also provides a superior grip that will perform well in varying weather conditions. Similar to most discs, the disc is available in a myriad of colors. That means you get to select what you like best, and what you think will be most visible. 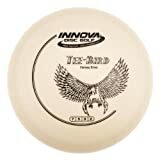 Also similar to the Innova Destroyer discussed above, the Champion Teebird is recommended for those with advanced and intermediate skills but not for beginners. It wears progressively, which produces new and varied flight patterns. Go-to fairway driver for 12-time world champion Ken Climo. While the Innova Star is considered a must-have for distance drivers, the Prodigy D1 is a close second. It is an overstable high-speed driver clocking in at a speed of 12. It has a thick 2.3cm rim to facilitate the speed. Despite the extra-thickness, it still meets PDGA standards and can thus be used for tournaments. 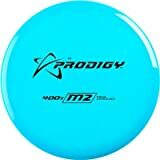 Though the disc is overstable, it cannot be considered as “very overstable.” That means it is perfect for power throwers, windy shots, strategic doglegs, and forehand throws. The disc’s dimensions are 21.0cm in diameter, 1.9cm in height, 1.2cm in rim depth, 2.3cm in rim width and it has a maximum weight of 179g. The disc’s dimensions give it maximum control during throws. When you combine this with a glide of 5.0, a turn of 0 and a fade of 3.0; the D1 has a high glide, a slight fade at the end and high wind resistance and predictability thanks to the turn. Note that the 170-175g is Prodigy’s heaviest D1 class. As noted, it maximizes control and wind-resistance. The 400G plastic is a premium blend of material, mixed in with another resin to give the disc a unique feel and make it more durable. The slight disadvantage to the 400G is that it requires more time to break it in. 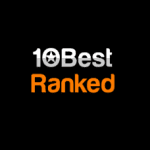 The recommended skill level for the D1 is advanced and intermediate. Again, similar to the rest, the D1 is available in multiple-choice colors. It has a consistent flight pattern. It takes time to get used to the disc. There are a couple of things to consider before purchasing a disc golf putter. Key among them is understanding the complex terms that affect flight. Glide: The glide is the disc’s ability to stay in the air. Usually, discs with a high glide fly farther than those with lower numbers. That means a high glide is good for distance but not for putts or approach. Turn: The ability of the disc to curve right in the early portion of the flight. Discs that are understable and have a negative turn will provide the most distance. Fade: When a disc fades to the left at the end of a flight as it slows down. Understanding this terms will help you differentiate between one disc and the other during purchase. These are discs that cut through the air at very high speeds. When thrown right—with power and technique—they tend to go far (up to 400ft). However, if the discs are thrown wrong, then they lack control, and they do not go far. If your ball get stuck in a certain spot, you may consider getting a golf ball retriever. Also known as Fairway drivers. They are not as fast as the distance drivers, but they are more stable and can fly straighter. Also, they are easier to control. They fly slower and have fewer aerodynamics edges. The aim to give maximum control and accuracy without sailing past a target. Note that it is possible for some midrange discs to fly perfectly straight. They fly the slowest, will not go far and are easy to control. They fly straight, and as a result, they are suitable for landing in baskets. Regarding approach shots; they are also good for landing close to a basket so one can set up a putt. Note that for the five discs discussed, each falls into one of these categories. Unless you first understand what your disc’s purpose, you cannot make the right purchase. 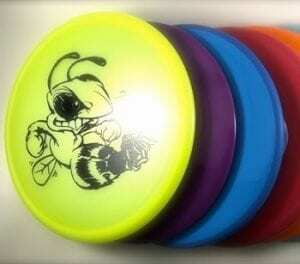 As noted when discussing the five best disc golf putters, discs come in a variety of plastics. The plastic will determine how the discs fly as they wear over time. They also affect the grip which in turn affects the throwing release. 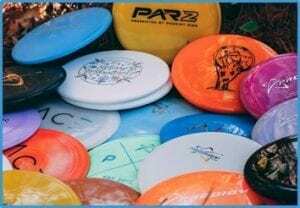 The vital thing to remember when purchasing a disc is that there are five principal types of plastics—basic plastics, middle grade, ultra-durable, ultra-light, and premium plastics. Basic plastics are of course the least durable and premium the most durable. There are other things you can take into account, for instance, disc weight, the color, and the brand. Disc weight is rather important because lighter weight discs tend to be understable while heavyweight discs are overstable. For color and brand, it is a matter of preference. Once you have considered all that, then you are in a position to go back to the guide and pick a disc golf putter that suits your needs. Also, check out our guides for Golf Bag Coolers out there!